The Highest Quality Possible - Our unfinished cabinets are a great choice for homeowners who value the quality and durability of hardwood, custom cabinets and for builders who want professional craftsmanship, service and value. Pride and experience go into every unfinished cabinet we make. 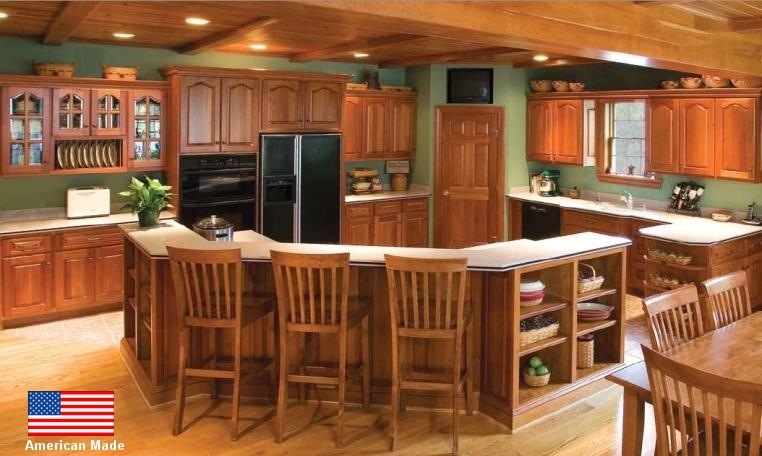 We have been a trusted leader in the manufacturing of kitchen and bath cabinets for a very long time. We build each cabinet to your specifications with an absolute devotion to quality. Our facility uses state-of-the-art technology to produce cabinets that will stand the test of time. Our unfinished cabinets are all wood construction with solid wood, select grade and furniture grade plywood components. We can also finish them for you in an impressive number of finishes and styles of doors and drawer fronts. Numerous accessories and the ability to modify cabinet sizes, creates unlimited possibilities for your kitchen and bathrooms. 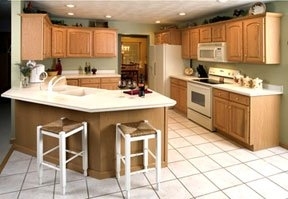 All our unfinished kitchen cabinets and bath cabinets are covered by our limited 5 year warranty. It's a place used by the entire family. It's a focal point of activity. It's a place where people gather to cook, eat, socialize and make memories. You want a kitchen that reflects your lifestyle. 3. Choose your cabinet doors Select the door and drawer style you prefer for the look you want. Options include: Square, Arch and Cathedral in Flat panel, Raised Panel and Beadboard styles. Plan the best arrangement for your lifestyle. 5. Select an island Solid wood kitchen islands come in six designer styles. They are a welcome addition to your kitchen for work space, storage and seating. 6. Add glass Enhance your custom cabinets with glass to show off your cherished objects. Glass doors are available for specific cabinets. 7. Finally Once you've received your order, all that's left, is selecting the parts of your new kitchen that will compliment and complete the look you've selected for this very important room. 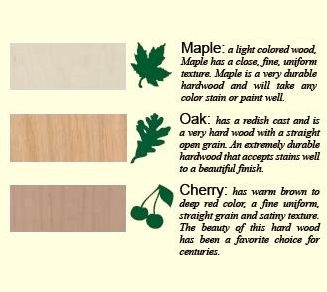 Decorative handles, floor coverings and window treatments all play key parts. You'll need to decide on brass or chrome, wood floor or tile, marble or Formica, slatted blinds or curtains and the choices go on. It's all a great adventure. You will derive joy and satisfaction from your efforts for many years. So, take your time. Enjoy the process. The possibilities are endless.